Local Law Amendment Int. No. 328-A and Int. No. 425-A where both passed into law on March 9th, 2012. Int. No 328-A: Increase in NYC Dog License Fee dictates that the dog licensing fees within the confines of New York City will be boosted increased from $11.50 to $34. The additional fees will be transferred to the New York City Animal Population Control Fund, where the money will be used to alleviate the costs associated with spaying and neutering. While, Int. No. 425-A: Tethering Dogs changes the tethering laws by implementing a ban on tethering animals outside for more than three hours per day. 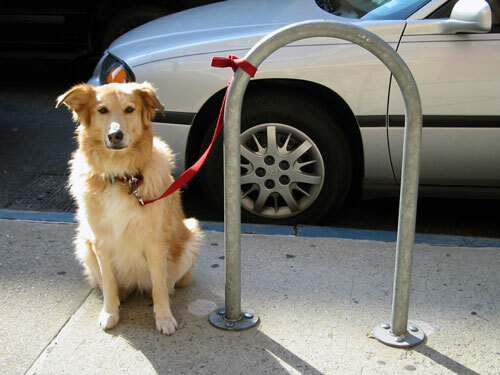 The reasons sited for catalyzing the law include the aggressive behavior, depression, and anxiousness many dogs exhibit as an effect of long sessions of tethering. Both the Humane Society and the American Society for the Prevention of Cruelty to Animals (ASPCA) have been proponents of the bill and spearheaded lobbying for the bill over the past two years, including a 5-member ASPCA panel that gave testimony in front of the New York City Council Health Committee. The ASPCA supported the two pieces of legislation from the beginning, citing a potential increase in neutering and increased funding to overpopulation with the adoption of 328-A, and the potential for a reduction in injury to both dogs and citizens alike with the passage of 425-A. While I applaud the passage of both laws, I am unsure that there is a realistic correlation between an increase in license fees and a surge in neutering. While the additional funds will be used to offset current costs both spaying and neutering, I think that those owners who do not wish to pay the additional licensing fees and will therefore not register or spay their animals could offset this.